Elena Jane Goulding better known for her stage name Ellie Goulding is an English singer-songwriter. Born in Hereford, she grew up in Kington, Herefordshire and currently lives in London, England. According to Starry Eyed Songfacts, after attending the University of Kent studying drama for a couple of years, Ellie moved to West London for the purpose of developing her songs and music career. Touring since 2008 she released her debut single “Under the Sheets” on 15 November 2009. The track was produced by Starsmith, with whom she has been working since the beginning of her career. On 8 January 2010, Goulding topped the BBC Sound of 2010 music list. Previous winners include the likes of Little Boots, Corinne Bailey Rae and MIKA. In 2010 she became the second artist to both top the BBC's annual Sound of... poll and win the Critics' Choice Award at the BRIT Awards in the same year, following Adele's win of both in 2008. After signing to Polydor Records in 2009, she released her first EP in 2009, An Introduction to Ellie Goulding, followed by her debut studio album Lights in 2010. Her album debuted at number one on the UK Albums Chart and has sold over 850,000 copies in the UK. "Lights" was released in America March 8th 2011, where the title track has been certified platinum by the RIAA (excess of 1 million units sold). It was re-released 29 November 2010 as Bright Lights with six new tracks. It has so far produced two additional singles: “Your Song,” a cover of Elton John’s song (which went on to become her biggest single to date in the UK, reaching #2) and the title track “Lights (Single Version).” Following this re-release, the album saw a surge in sales in both the UK and Ireland. Daily Star reports that she had plans to release a follow-up to Lights sometime in 2012, commenting, "I'm not going to go away for ages. It'll be out this year or the start of next." The following month, when asked about the album's musical direction in an interview with gossip website Dean Piper's World, Goulding stated, "It's started to sound very dark and very weird. This album is going to be even more emotional [...] I wanted to make it so there is hope. I want to make an effect whether it's happy or sad." 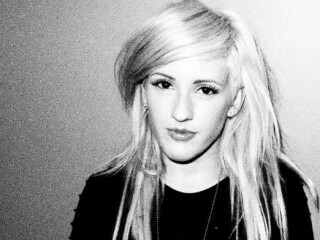 In April 2012, Goulding stated that she hoped the album would be released in October 2012. That same month, her single "Lights" was certified platinum in the United States by the RIAA. View the full website biography of Ellie Goulding.